Want to throw a bigger party? The MHC-V90W has everything you need for an incredible night: club-style lights, fun party features and huge sound from 10 speakers. Turn on bright party lights, add your voice to the mix and use Gesture Control to create DJ sound effects. Connect using BLUETOOTH® with instant NFC pairing, or use streaming services over Wi-Fi. The convenient handle and caster make it easy to carry the MHC-V90W to the next party. Massive sound pressure. Far-reaching speakers. Epic bass and clear treble. 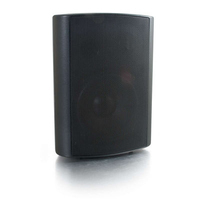 At 66.93 in tall, the MHC-V90W delivers incredible sound right to the back of the dance floor. Get every single person dancing, with help from the top speakers. 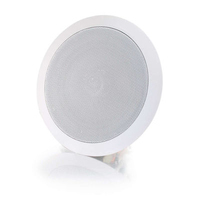 The MHC-V90W delivers high sound pressure and clear, focused sound. 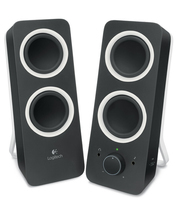 By using an angled top speaker array, sound is thrown over a wide area to fill your party environment with music. Want to fill a big space with your music? The MHC-V90W has it covered. Each speaker has been carefully built with a horn-shaped design that pushes the sound over a longer distance. When a great tune is playing, you want to hear it from everywhere. The open-backed speaker cabinet lets sound spread out, so you can hear the music clearly from any angle. Get everyone in the mood to dance all night, with the MHC-V90W's built-in illumination. Colored party lights project patterns onto the wall behind, while bright lights in the speakers glow to create a club feel. Entertain the crowd with the MHC-V90W's dedicated inputs for a microphone and guitar, so you can sing and play along to your favorite tunes. The built-in Gesture Control puts you in charge of fun features like the DJ sampler, and karaoke modes. Make club sound effects with a simple swipe, or control music playback by flicking or rotating the wheel. With the free Sony | Music Center app, you can control music and sound settings right from your phone. The Fiestable plug-in lets you control the light colors and adjust EQ or activate DJ and karaoke modes. Make changes with a flick of your wrist, thanks to the intuitive motion control. Whenever you want to move the MHC-V90W, just hold the convenient carry handle and tilt it back. A sturdy caster lets you roll all the way to the party. Access your favorite internet streaming services via Wi-Fi, while controlling the playlist from your phone. Use One-touch NFC for an instant Bluetooth® connection. Alternatively, create a Bluetooth® link in your device settings. Use the USB to quickly connect digital music formats including MP3, AAC, WAV/AIF, FLAC, ALAC and DSD. The USB even charges your phone, so you never run out of battery. Want to boost your volume? Connect up to 10 compatible speakers with Wireless Party Chain for even more audio power. It's all done over Wi-Fi, so you don't need to use any connecting cables. Subwoofer driver diameter (imperial) 9.84"